rectangular dissipative silencers come in a variety of configurations. 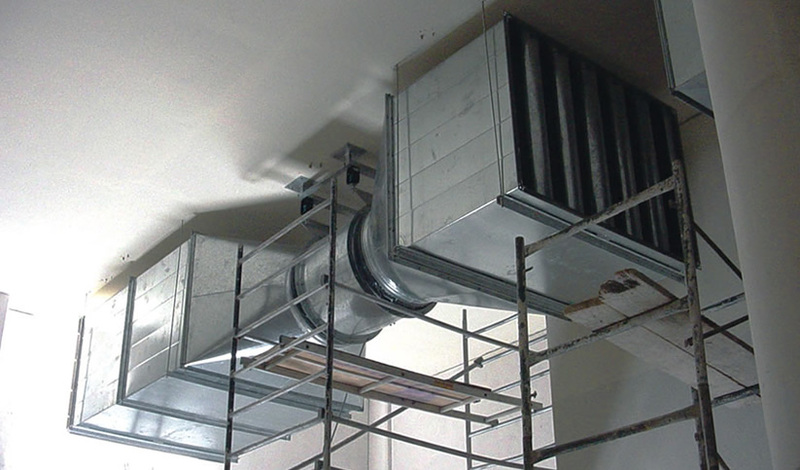 All of the silencers have the ability to be stacked into large banks, thus accommodating an infinite amount of duct sizes, eliminating expensive transitions. These silencers are the first choice of designers for rectangular dissipative silencers. As with all Ruskin Sound Control silencers, the data for these products has been developed in strict accord with ASTM E477 in independent and recognized laboratories to test acoustics and aerodynamic performance of duct silencers. Standard: VAV boxes, rectangular ductwork, air handling units, generator radiator silencing, tunnel ventilation, general ventilation. W/ Non-fibrous Liner: Clean room systems, hospitals, chemical laboratories, cooling towers (DM), fume hood exhaust.